China is inevitably becoming a giant in the world economy. All international companies in the United States have a presence in China, and many international Chinese companies have a presence in the United States. These companies face complex challenges in their global value chain: strategy, sales and marketing, supply chain management, information technology, and production. This book examines case studies from companies who have successfully navigated this new market environment. 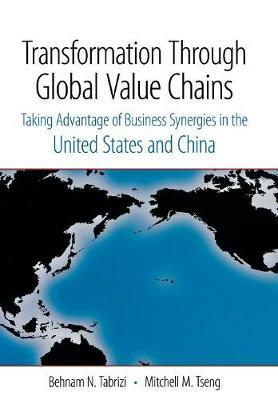 The book starts with strategy as a fundamental stage in the value chain. It then proceeds to explore globalization of sales and marketing, logistics and supply chain challenges of supporting global operations, necessary changes to the IT system capabilities as firms begin to address new markets, and finally, efficient and competitive production processes. The book will be valuable to managers who are looking for tools that have been used successfully by industry leaders, as well as to instructors who would like to use real-world practice to educate future managers and decision makers.